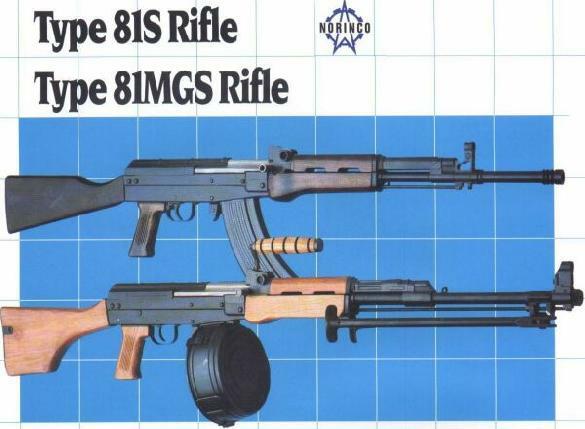 NORINCO TYPE 81-S assault rifle and TYPE 81-MGS light machinegun: 7.62x39mm assault weapons. Respectively, the Kalashnikov based assault rifle and RPD-based light machinegun currently in use with the Chinese Military and Law Enforcement agencies. May soon be replaced by the QBZ bullpup family.